ALL BREATHING AS ONE !!!!! 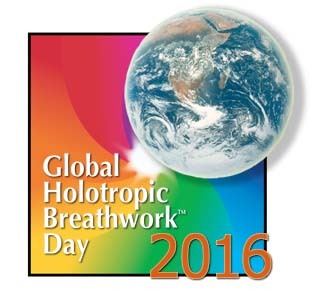 In 2011 hundreds of participants gathered in over 27 countries for the first-ever Global Holotropic Breathwork Day. This special world wide event will be held once again this year. we celebrate and explore the power of breath. For decades Ron Tofanelli has been dedicated to sound and music, not only as a DJ where he transports people with his heightened sensitivity to the collective energy; but also as a sound healer and an expert of sacred music from all over the globe. On Friday April 8th, 2016, there will be a special evening in preparation for the next day and an immersion into our sensory world through images and music. As well as and Introductory talk to Holotropic Breathwork. The evening is open to anyone that is interested in finding out more about Holotropic Breathwork, having a beautiful inspiring and nourishing evening, as well as preparation for those attending the workshop that are new to the work. 3389 22nd Street, San Francisco, CA 94110.